Who doesn’t love a bargain? Well, I’ve got one for you today! 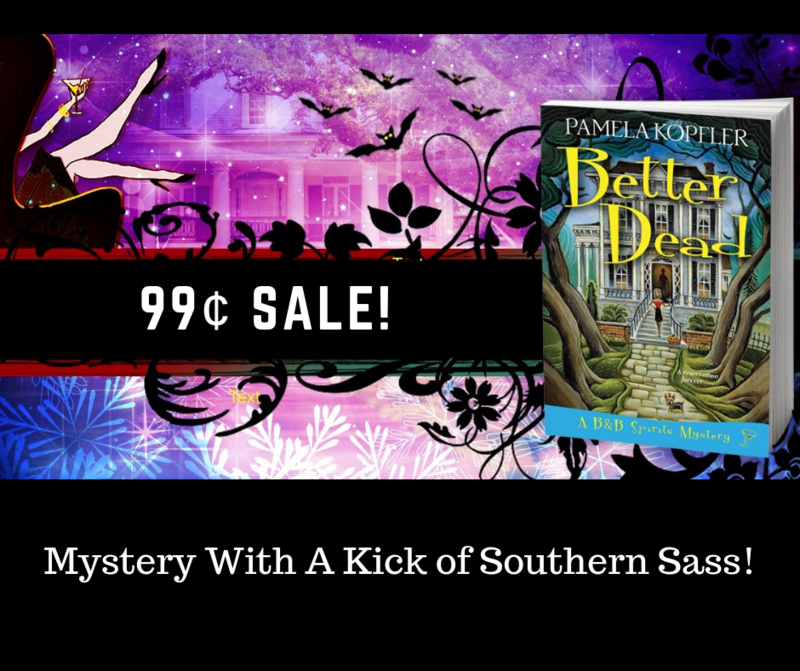 Better Dead is a BookBub 99¢ deal in ebook format at Amazon and iBooks through September 23! I’m very grateful to my publisher, Kensington Books, for offering readers this bargain. The paperback is discounted a little too! 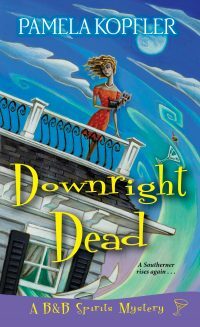 I’m so excited about this because Better Dead is the first in my B&B Spirits Mystery series and book two, Downright Dead comes out September 25! Right now, Downright Dead is at a special preorder price too. A book doesn’t truly come alive until it’s read. Thank you to all of you who have read Better Dead and left reviews (4 1/2 star rating on Amazon), kind comments on social media, and supported me on this journey. Love y’all tons. If you haven’t started the series yet, now is the time to give it a shot.